Earlier this week internet users in Germany had their internet access cut by attackers targeting the DSL modems provided by Deutsche Telekom. About 900,000 users were denied access by the attacks, a number that represented about five per cent of the German company's customers. Yesterday we became aware of similar attacks on UK-based internet services as two of them issued statements about 'service problems'. Apparently, since Sunday, there has been intermittent service interruptions experienced by hundreds of thousands of internet users who use the Post Office or TalkTalk as their ISPs. The Post Office has said that 100,000 of its users have been affected by the cyber attacks but TalkTalk hasn't numerically quantified the disruption felt by its users. 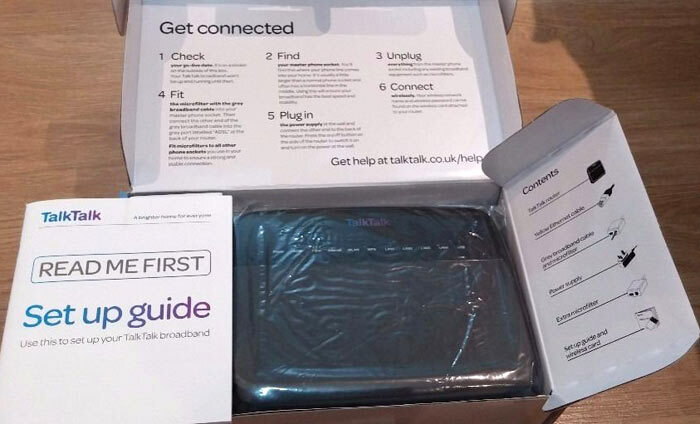 In a statement TalkTalk only admitted that "a small number of customer routers" had been impacted by the attacks. It added that "along with other Internet Service Providers in the UK and abroad, we are taking steps to review the potential impacts of the Mirai worm," before saying that a fix was being worked upon. Cyber attackers have been using a modified version of the Mirai worm to disrupt services by various ISPs as well as sites including Spotify, Twitter, PayPal and Reddit. Such attacks are often precipitated by unpaid 'protection money' to criminals threatening to take down your site or network. The Mirai worm exploits vulnerabilities in IoT devices and will crash them or use them as part of a botnet in distributed denial of service (DDoS) attacks. Reading around, the ISPs affected are simply unfortunate, in this instance, in the choice of routers shipped out to customers. 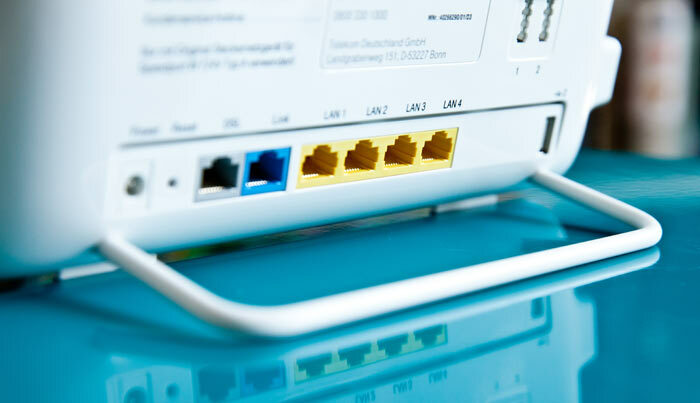 Routers including the Zyxel AMG1302, D-Link DSL-3780, and some Speedport branded routers (in Germany) were unfortunately vulnerable to Mirai. “The lessons that should be learned from these ongoing Mirai attacks is just how vulnerable we were as a result of our own IT laziness. Sure, we can excuse harried consumers for treating their home routers and IoT gadgetry like toasters and other kitchen appliances – just plug it in and forget about it. So what excuse do professional IT types have for this rookie-level behaviour? Unfortunately, default-itis still plagues large organisations. As recently as 2014, the Verizon DBIR specifically noted that for POS-based attacks, the hackers typically scanned for public ports and then guessed for weak passwords on the PoS server or device – either ones that were never changed or were created for convenience, “admin1234”. This is exactly the technique used in the Mirai botnet attack against the IoT cameras. Even if hackers use other methods to get inside a corporate network — phishing, most likely — they can still take advantage of internal enterprise software in which defaults accounts were never changed. For those organisations who think that the Mirai botnet incident has nothing to do with them, or have to convince their board of this, here are two points to consider. 1. The lesson of the Mirai botnet attack is that the perimeter will always have leaks. For argument’s sake, even if you overlook phishing scenarios, there will continue to be vulnerabilities and holes in routers, network devices, and other core infrastructure that allow hackers to get inside. 2. Human nature tells us that IT will also continue to experience default-itis. Enterprise software is complicated. IT is often under pressure to quickly get apps and systems to work. As a result, default accounts and weak passwords that were set for reasons of convenience — thinking that users will change the passwords later — will always be an issue for organisations. You have to plan for attackers breaching the first line of defences, and therefore have in place security controls to monitor and detect intruders. It's ridiculous that these features are enabled by default. I understand why they're there, but they should be tied to a physical switch on the router or something so even the least technical user only needs to have them enabled when necessary. Otherwise they're just a disaster that'll repeatedly happen. Some ISP branded routers require firmware updates from the ISP and wont work with vanilla firmware from the OEM, this only compounds the problem. What I started to do last year was divvy up my internal network. Not really possible for your average home user though. So far I've started by separating my more traditional office it kit onto one subnet, my TVs and other connected media to a second, and anybody who rocks up and uses my wifi to a third. The main reason for doing this was to stop my brother from downloading dodgy stuff on my sky box with his phone each time he came around. But the rise of “smart” devices has had me worried for some time. This is all just controlled by DHCP reservations with everything not in it being dumped into the “public” subnet, which only has Internet access (still could be used to launch a DDOS attack, but less likely to be able to infect any network devices). There is no reason currently why somebody can't just manually IP their device and get onto the other network. That work starts after I upgrade my switch to handle VLANs. If you run an always-on server/NAS, you can virtualise it and slap on pfsense firewall too., and ditch that ISP provided colander. , and ditch that ISP provided colander. It should be a perfectly reasonable first line of defence. I have a Linux box with two ports on it acting as secondary firewall behind the consumer router, with public facing servers in the DMZ between all wired in red cables so I don't mis-plug something. One thing that is quite scary is how fast you can be attacked though. Apparently the time between incoming attacks on a router in the recent German outage was 5 to 10 minutes, so change the password and lock down the router on the LAN port *before* you plug the phone/WAN cable in else it might be compromised before you get to log in yourself!